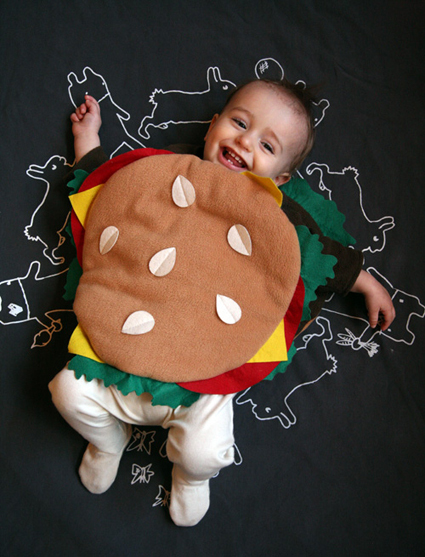 I really enjoy wearing costumes – life is always more interesting when you are dressed as a hamburger, banana, or Michael Jackson. I will be posting a series of new exciting costumes for this Halloween soon, but here are some past goodies to kick-start the Halloween inspiration. If you want to be unique and don’t mind people constantly asking “what are you?”, grab some colourful baggy pants, a matching vest and a flat cap without a brim. 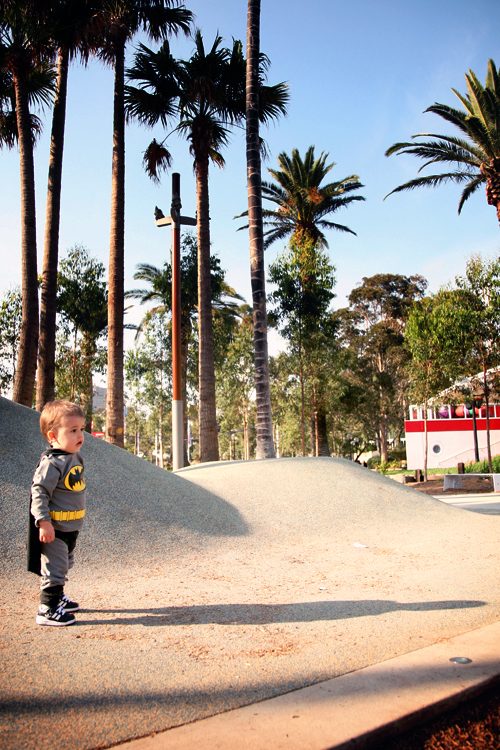 If you don’t have a Batman suit kicking around, see if you can find some grey leggings and a grey top. Wear black underwear on top of your pants. Then, add a black blanket or towel for a cape and attempt to cut the logo out yellow and black construction paper. If you don’t look enough like Batman you can just tell people you are “crapman”. Combine any bright, tight clothing with a headband and running shoes. 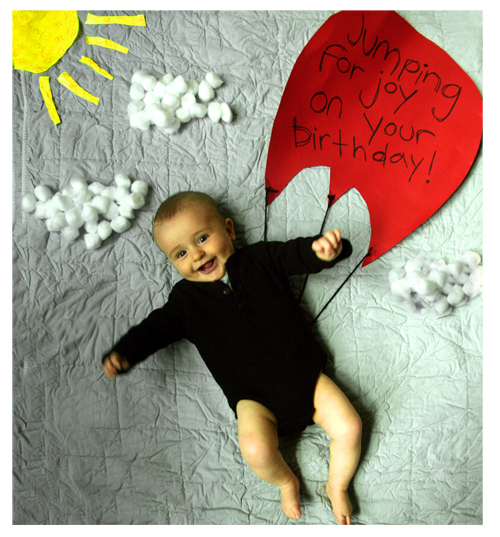 If you are a baby, button your onesie outside of your bottoms for the unitard look. Combine tight black pants that sit above your ankles with white socks showing and black loafers. If you do this, you can pretty much wear anything else and people will know you are Michael Jackson. There isn’t really any simple way to do this without having access to a Banana costume, unless you dress all in yellow with a white cap and run around saying “I am a Banana”. Attach anything to your back that could pass as a parachute. Next time you are at the airport or a flight simulator place, keep an eye out for a pilot’s hat – they usually sell them. 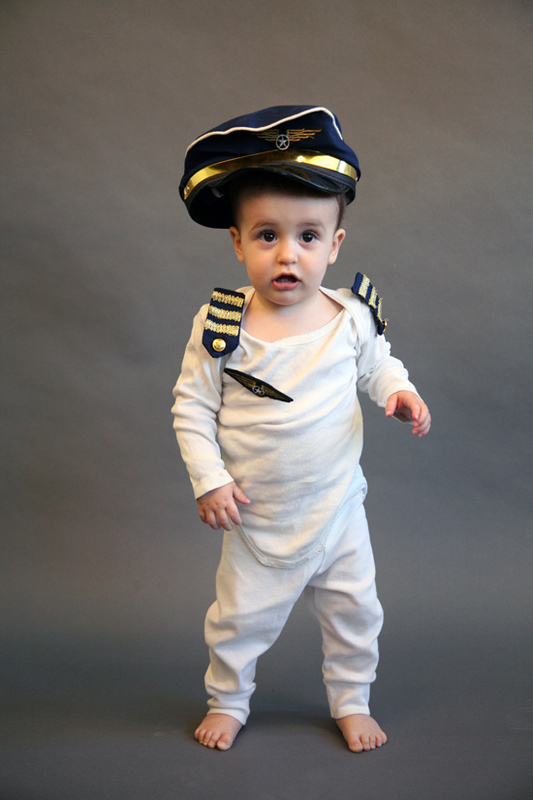 Attach some navy and gold strips to your shoulders and a badge with wings to your chest and then hit the skies. It is unlikely that you have something like this lying around. If you have big cardboard box you could easily cut out an hamburger sandwich board and then dress in brown so that you are the patty. If you really want to be different and really really want to confuse people, combine a bunch of different costumes. 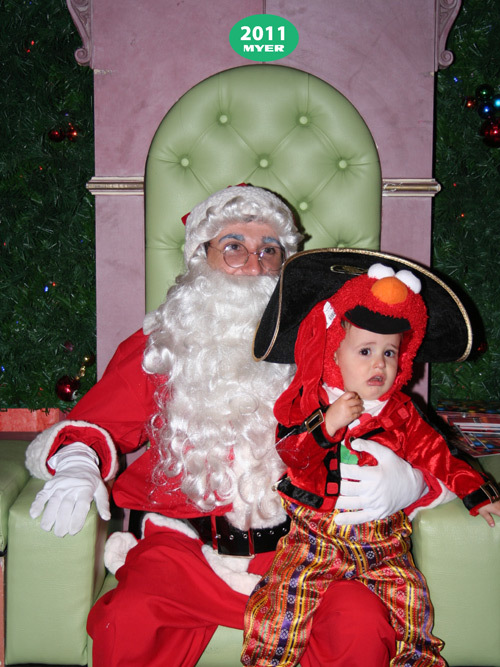 Last year, I asked people to help me choose a costume to wear on Santa’s knee and one of the nominees was “Turkish pirate Elmo who’s wearing his favourite MJ tribute jacket”. So, I wore this to visit Santa and we were both very confused, as you can see in the picture below. Love all your costume ideas Marshall! And you look great in all of them! Great tips Marshall! 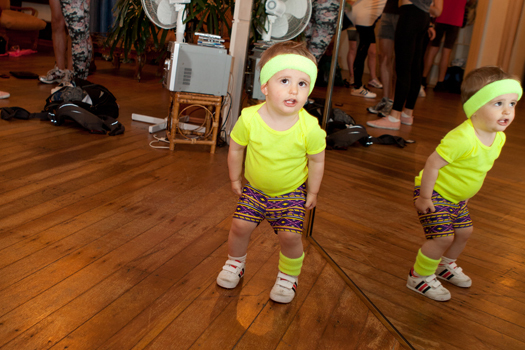 I think my favourite is the aerobics instructor costume. You could even add an afro (and optional headband) to that and you’d be Richard Simmons.